A friend of mine came to me to ask for advice planning her Walt Disney World vacation over the summer. No surprise there. I should probably hang out a shingle and start charging by the hour. If you're a big MousePlanet reader then you're more than likely the big Disney expert in your circle of friends and family. I wear that as a badge of honor; at my job and in my extended family, I'm the one they ask. I was more than happy to help my friend out with her big trip. After all, I love talking about and planning a Disney trip almost as much as I love actually being there. My friend had an interesting situation however. She prefaced the whole discussion with this statement. "I'm taking the kids to Walt Disney World this summer. It's going to be the kids and I and their father… whom I recently divorced." Now, I wasn't prepared to deal with that almost guaranteed powder keg, nor am I a trained marriage counselor of any kind. I'm just a guy that knows a lot about going to Walt Disney World. She swore she knew what she was doing. They were doing it for the kids, which is certainly admirable. It was her next comment that threw me a little bit. When discussing the inevitable cacophony of awkwardness that she was about to bring upon herself she stated, "I just hope there's someplace where I can get a decent drink down there." Leaving the obvious "don't drown your sorrows in alcohol" speech aside, I reassured her that the most kid-friendly vacation destination on Earth also knows that with every kid comes at least one, if not two, adults and a good portion of those adults might want a cocktail from time to time. Disney doesn't disappoint and actually far exceeds your expectations in this department. I can't fault her for not knowing. The last time she was there she was young and like a lot of travelers out there, she just wasn't prepared for the size and scope of a place like Walt Disney World. People shouldn't expect your typical amusement park food and drink. It's not lukewarm Budweiser on tap, stale pretzels, and heat lamp dogs down there. There's a lot more, so let's dive head first into the libation tank and count down my Top 5 Walt Disney World Cocktails. Walk way back into the Japan pavilion, cross the bridge and enter the rear of the Mitsukoshi Department Store to find the Sake bar. Photo by Alex Stroup. 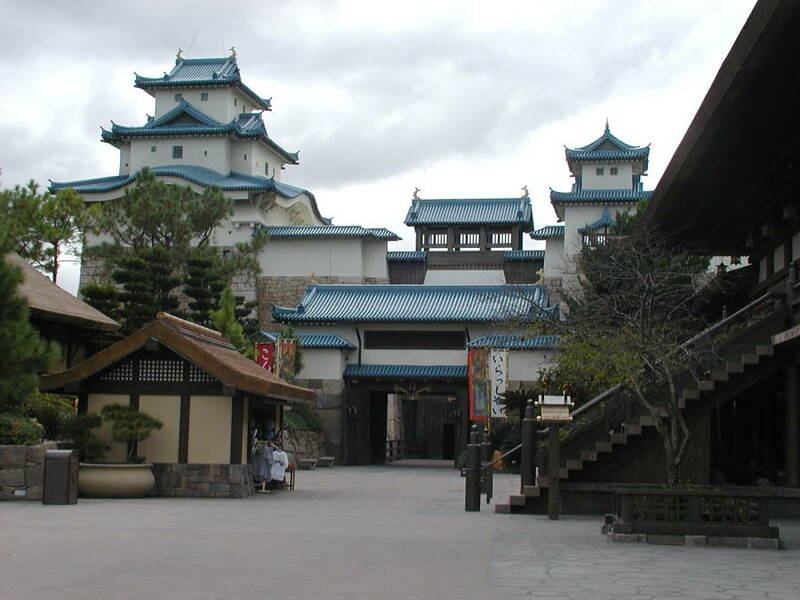 The sake tasting bar in Epcot is a true hidden treasure, one that I didn't know about until I fully explored the wonderful Mitsukoshi Department Store in the Japan pavilion. It's as far back into the store as you can go, which is why I'm assuming most people don't know of its existence. Last time I was there, I engaged the server in some discussion about the different types of sake. I asked for something that was very traditional that would remind her of home. She suggested the Kurosawa and I enjoyed it very much. Sake is more of an acquired taste, but it's become a favorite drink of mine over the years. This is what the World Showcase experience is supposed to be: learning about the culture, food, and drink of a country from someone who knows firsthand. They offer 10 different sake tastings and if you find something you like, there are full bottles for sale. 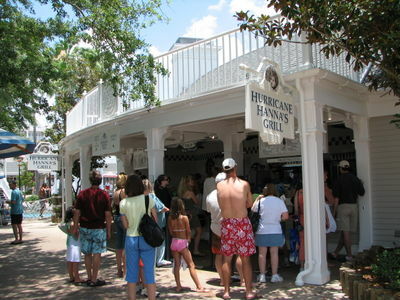 Hurricane Hanna's serves great food and delicious drinks poolside at the Yacht and Beach Club. Photo by Brian Bennett. 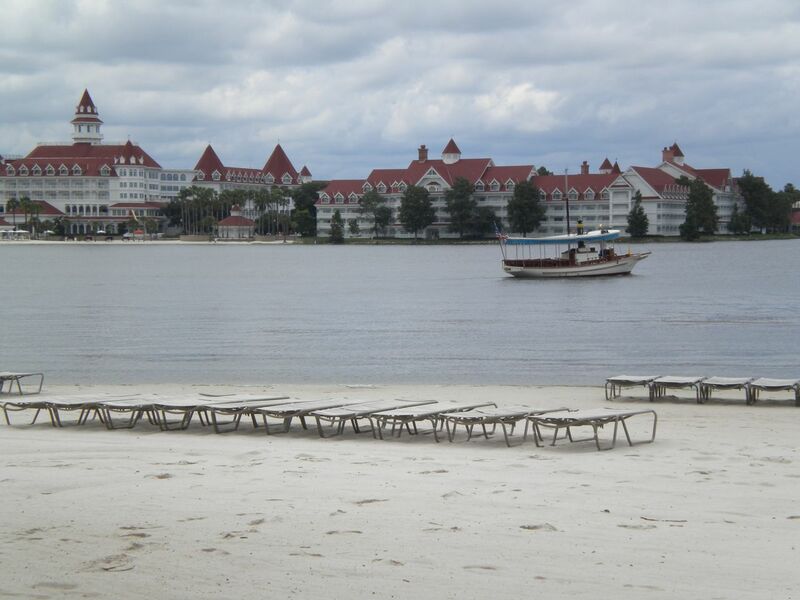 It's hard to beat an afternoon spent enjoying Stormalong Bay at Disney's Yacht and Beach Club. It's the greatest pool complex on property. Forget that, it's probably the greatest pool complex of any resort I've ever been to anywhere. It's a ton of fun and yet despite the size and the kids everywhere, the lay of the land and the palm trees make this Disney treasure a downright relaxing place to be. 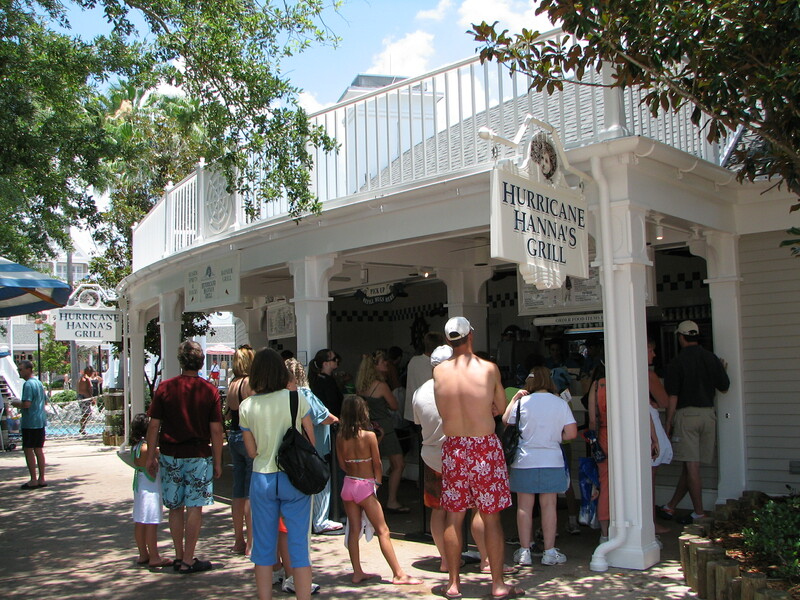 So, after you've enjoyed the slides and the lazy river and the sandy bottom pool head on over to Hurricane Hanna's and order a refreshing tropical drink. My choice has been the Moscato Colada. It's Moscato grape vodka with blue curacao and pina colada mix, topped off with passion fruit-mango foam. And yes, the passion fruit-mango foam is as yummy as it sounds. It's perfect for sipping under the palm trees on a hot Orlando day. Today it's bourbon, but not too long ago, everyone in the USA was crazy about high quality tequila in bars and restaurants. 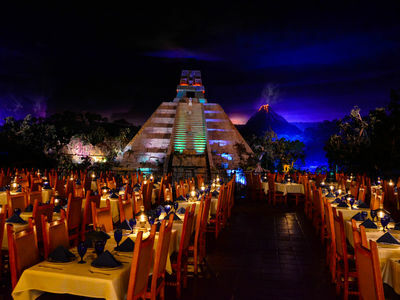 Walt Disney World answered that call with a truly stellar line-up of margaritas in the Mexico pavilion at La Cava del Tequila. Try the avocado margarita; it's delicious. I haven't tried it yet, but I hear the blood orange margarita is also pretty awesome. The menu description alone is mouth watering: tequila, orange liqueur, sweet-tart mix of blood orange juice, topped with wild berry foam, served on the rocks with a Tajin chili powder rim. However, before the proliferation of tequila bars became trendy, I've always loved ordering a frozen mango margarita whenever we dine at the San Angel Inn, one of my all-time favorite restaurants in Walt Disney World. It's the perfect frozen drink coupled with delicious Mexican food in that wonderful setting as we watch the boats drift by and the volcano quietly smolder. Sounds and tastes just perfect. These lounge chairs at the Polynesian beach looking out at the Grand Floridian just need me and a Key Lime coconut martini. Photo by Chris Barry. What could be better than lounging around the Volcano Pool at the Polynesian on a warm summer night? Maybe there's a classic animated Disney film being shown out on the beach. The kids are in the pool. My wife and I are sitting on the beach waiting for Wishes to start off on the horizon with the soundtrack piped in so we can enjoy that wonderful piece of Disney magic lagoon side, away from the crowds on what feels like our own private beach. She's sipping a nice crisp glass of Chardonnay as usual. What is my choice of drink for this perfect Polynesian moment? It's the Key Lime Coconut Martini from the Tambu Lounge in the Great Ceremonial House. I haven't been to the Poly since all the renovations have taken place, and I know they've changed things around with the addition of Trader Sam's Grog Grotto. Currently I can't find this drink on any of the menus posted online. I know they've added some crazy looking drinks over at Trader Sam's, but this was always my favorite to get when we were blissfully staying at the Polynesian, so I hope it stuck around. Why take away a delicious cocktail with melon liqueur, vanilla vodka, pina colada mix, pineapple juice, and—best of all—the crushed graham cracker on the rim? I really hope I can find it the next time I'm there. The Grand Marnier orange slush is probably my favorite drink anywhere. It's only a small part of what I love so much about World Showcase, but it's a crucial part of every visit. I can't say much more. It's delicious. It's sweet. The only problem I can see is that it goes down way too easily on a sweltering Disney day. Just remember, this isn't a Slurpee from 7-11. There is alcohol in here, and in this writer's humble opinion, it's the best drink in all of Walt Disney World. Ultimately my friend was pleasantly surprised by her trip back to Walt Disney World. The kids loved it, and she loved it. I'm not sure she'd ever go away with her ex again, but at least she realized that if she needed or wanted to unwind with a nice grown-up drink, the options at Walt Disney World are certainly overflowing. Our trip is never complete without a trip (or two) to La Cava in the Mexico pavilion. Have everyone in the party get a different margarita and share. On our last trip we also discovered that the Brown Derby has a flight of martinis and they are all delicious. My favorite drinks are the specialty cocktails you can find at some of the different resort bars; not the generic bar menu, but site-specific. I don't want something sweet or slushie, I want to appreciate the spirits that are involved. California Grill has some great ones. I don't think I have ever ordered something I really didn't care for, but one from a regular restaurant (barring specialties from events like F&W) that sticks in my mind was the Lapu Lapu I had at Kona Cafe. The combination of the rums and fruit juices mixed together in the pineapple was a nice relaxer with dinner after a busy day. I can vouch for the excellence of the Blood Orange Margarita! After one sip I took a picture of it so i would remember! Yeah, that Grand Marnier slush in France is about as good as it gets. The Blood Orange margarita at the San Angel Inn is awesome, too. We also really like the Dorma Nesmond at the Hollywood Brown Derby. Love the Grand Marnier slushie. My favorite time was getting one and then going over to England and listening to the band play while I enjoyed my drink and just relaxed. I'm also a huge fan of the blood orange margarita at Flying Fish Oh, and the bloody mary at Belle Vue lounge, both at the Boardwalk.